The Regatta Breeze jacket has a fashionable design and can be used for watersports, on the beach and at sea. 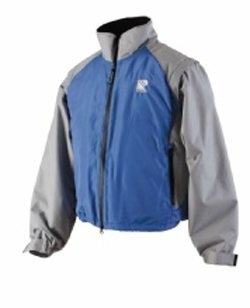 It's wind and waterproof with detachable sleeves and a D-ring for attachment to emergency line. It is comfortable to wear with a slight buoyancy of 50N. It also has two inner and two outer zipper pockets.